was painted in the year 2007. 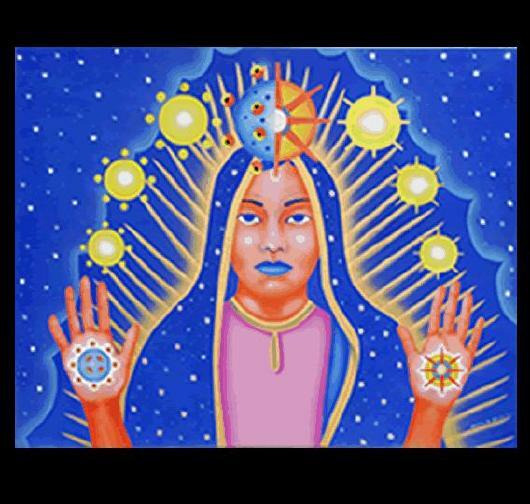 To the Indigenous people from Mexico, La Virgen de Guadalupe symbolizes mother earth. Her dark skin represents the earth’s soil, her veil represents the cosmic sky, and the rays in the background represents the sun. The joining of the sun and the moon symbolizes duality, the balance of night and day, female and male energies.